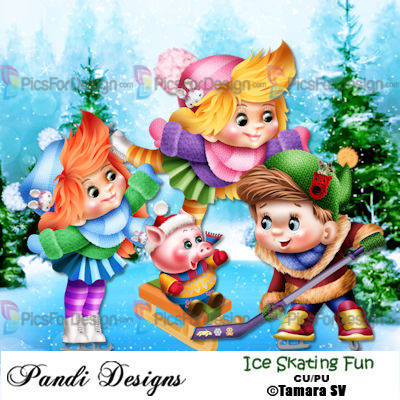 ICE SKATING FUN - Illustration store PicsForDesign.com. PSP tubes, PSD illustrations, Vector illustrations. ©TamaraSV ~ Ice Skating Fun includes 8 elements & 6 backgrounds.